Praetorian USA specializes in providing exceptional event staff and security services at venues of all shapes and sizes. With 800 contractors at 130+ locations, Praetorian was increasingly overwhelmed with the event staffing complexities required to staff over 400 events every year. 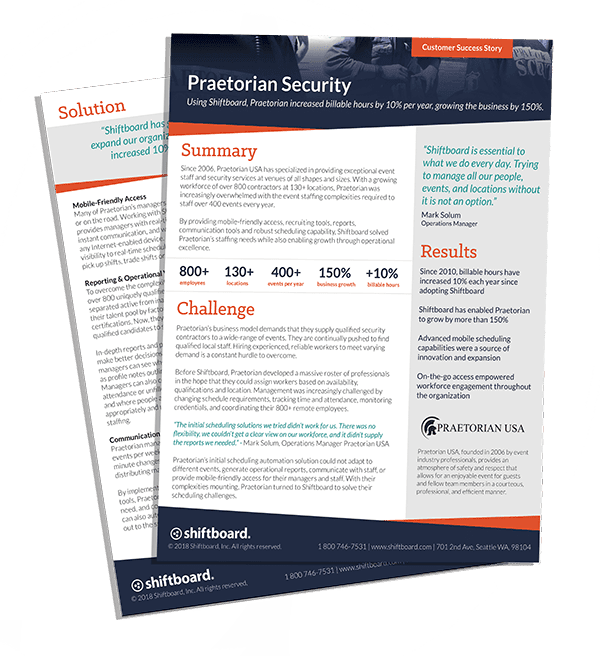 Using Shiftboard, Praetorian was able to streamline its operation while growing its business by 150%.